Instantly downloadable sheet music by Brahm Wenger for choir and piano (2-Part) of MEDIUM skill level. Alle Notenausgaben von I Do Believe In Christmas zum Herunterladen bei VirtualSheetMusic. Alle Noten von Brahm Wenger zum Herunterladen bei VirtualSheetMusic. Instantly downloadable sheet music by Gene Autry for choir and piano (SSA) of MEDIUM skill level. Instantly downloadable sheet music by Bert Stratton for choir and piano (SATB) of MEDIUM skill level. Alle Notenausgaben von A Christmas Call To Worship zum Herunterladen bei VirtualSheetMusic. Alle Noten von Bert Stratton zum Herunterladen bei VirtualSheetMusic. Instantly downloadable sheet music by Alta C. Faircloth for choir and piano (SATB) of MEDIUM skill level. Alle Notenausgaben von Christmas Hosanna zum Herunterladen bei VirtualSheetMusic. Alle Noten von Alta C. Faircloth zum Herunterladen bei VirtualSheetMusic. Instantly downloadable sheet music by John Purifoy for choir and piano (SATB) of MEDIUM skill level. Instantly downloadable sheet music by Dan Shea for choir and piano (SSA) of MEDIUM skill level. Alle Notenausgaben von Bells Of Christmas zum Herunterladen bei VirtualSheetMusic. Alle Noten von Dan Shea zum Herunterladen bei VirtualSheetMusic. Alle Notenausgaben von Blizzard zum Herunterladen bei VirtualSheetMusic. Alle Notenausgaben von Christmas Wish zum Herunterladen bei VirtualSheetMusic. Alle Notenausgaben von Discover The Light Of Christmas zum Herunterladen bei VirtualSheetMusic. Alle Notenausgaben von In Excelsis zum Herunterladen bei VirtualSheetMusic. Instantly downloadable sheet music by Richard Crashaw for choir and piano (SATB) of MEDIUM skill level. Alle Notenausgaben von Hymn Of The Nativity zum Herunterladen bei VirtualSheetMusic. Alle Noten von Richard Crashaw zum Herunterladen bei VirtualSheetMusic. Instantly downloadable sheet music by Lyle Moraine for choir and piano (2-Part) of MEDIUM skill level. Alle Notenausgaben von Christmas Island zum Herunterladen bei VirtualSheetMusic. Alle Noten von Lyle Moraine zum Herunterladen bei VirtualSheetMusic. Instantly downloadable sheet music by Miscellaneous for choir and piano (SAB) of MEDIUM skill level. Alle Notenausgaben von Carols Of Christmas Joy zum Herunterladen bei VirtualSheetMusic. 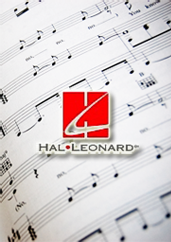 Instantly downloadable sheet music by Craig Hella Johnson for choir and piano (SATB) of MEDIUM skill level. Alle Notenausgaben von The White Owl zum Herunterladen bei VirtualSheetMusic. Alle Noten von Craig Hella Johnson zum Herunterladen bei VirtualSheetMusic. Instantly downloadable sheet music by Felix Mendelssohn-Bartholdy for choir and piano (SATB) of MEDIUM skill level. Alle Notenausgaben von There Shall A Star Come Out Of Jacob zum Herunterladen bei VirtualSheetMusic. Instantly downloadable sheet music by Teofilo Becerra Medina for choir and piano (SSA) of MEDIUM skill level. Alle Notenausgaben von A Belen Pastores (Villancico) zum Herunterladen bei VirtualSheetMusic. Alle Noten von Teofilo Becerra Medina zum Herunterladen bei VirtualSheetMusic. Alle Notenausgaben von Carry Your Candle High zum Herunterladen bei VirtualSheetMusic. Instantly downloadable sheet music by Shayla Blake for choir and piano (SAB) of MEDIUM skill level. Alle Notenausgaben von A Caribbean Noel zum Herunterladen bei VirtualSheetMusic. Alle Noten von Shayla Blake zum Herunterladen bei VirtualSheetMusic. Instantly downloadable sheet music by Robert Sterling for choir and piano (SSA) of MEDIUM skill level. Alle Notenausgaben von Sing We Now Of Christmas zum Herunterladen bei VirtualSheetMusic. Alle Noten von Robert Sterling zum Herunterladen bei VirtualSheetMusic. Instantly downloadable sheet music by Adam Anders for choir and piano (3-Part Mixed) of MEDIUM skill level. Alle Notenausgaben von Extraordinary Merry Christmas zum Herunterladen bei VirtualSheetMusic. Alle Notenausgaben von An Angelic Christmas Medley zum Herunterladen bei VirtualSheetMusic. Instantly downloadable sheet music by Brahm Wenger for choir and piano (3-Part Mixed) of MEDIUM skill level. Alle Notenausgaben von And This Shall Be A Sign zum Herunterladen bei VirtualSheetMusic. Alle Notenausgaben von Baroque Christmas Festival (Medley) zum Herunterladen bei VirtualSheetMusic. Instantly downloadable sheet music by Vince Guaraldi for choir and piano (SATB) of MEDIUM skill level. Alle Notenausgaben von Christmas Time Is Here zum Herunterladen bei VirtualSheetMusic.